Wow... I'm away on vacation... & all I can say is wow! My best friends family ... Hi Jill... offered for us to come visit their neck of the woods and Hubby was laid off, so off we went, our passports actually made it in time. Thought I'd be able to post a few things now and then, but just doing too much! Want to take it all in! Where? Canada! New Brunswick area... never been before and lots to see! The lady at the border asked where we were going and after we told her the name of the city, she said... "You must know someone there. No one would just say they were going there for much else." Oh, the quiet life! Nice and refreshing for a change of pace. Deals will resume again soon! Right now get a great buy on this camera at OfficeMax! Reg. $129.99 .... Get it now for $59.99 with Free Shipping. 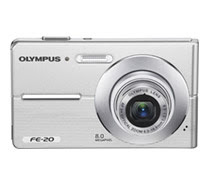 I don't have this camera, but have had an Olympus in the past that worked very well for me... looked like a good buy on a digital camera so I thought I'd pass it along. The reviews on Amazon look pretty ok for it. You can find them here if you want to check them out. 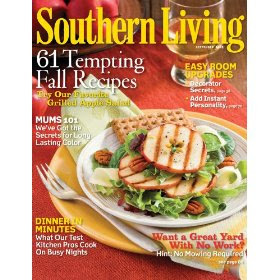 Southern Living Magazine for only $5! is that they help you qualify for free Super Saver Shipping and are free to ship themselves. and they will also send you a free stainless steel travel mug! I have to tell you I tried their coffee on a similar deal recently and loved it! I was skeptical of the mail order style of business, but the coffee was great. They have lots of varieties and flavors to choose from ... including basic coffee and decaf. I tried the Creme Brulee and the Espresso Roast... both very good! I especially loved the Creme Brulee... scrumptious! It tastes like it smells, at least to me anyway. You can sign up to try them and if you choose to not get anymore coffees fromthem simply call them and ask to be removed from their shipments. Be sure to call right away after you received your first package to insure they don't send more if you don't want it. as often or as sporadic as you like. 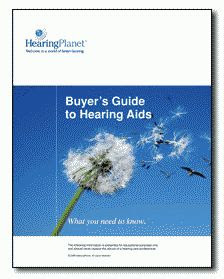 Get a free guide to hearing loss here at the Hearing Planet. 4) Compare different models, features & options if you need one. Not sure if you need or a loved one need this information? Check it out... it's free! Cellfire has just released some new coupons! Be sure to sign up for them before your next trip the grocery. 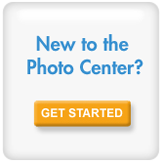 Cellfire has eCoupons you can sign up for. Want more information? Read more about them here. You don't have to clip coupons anymore to save money... it's as easy as clicking a few buttons on the computer. These are just a sampling of the new coupons... there are more! Please use the link to the left to sign up for your coupons. Sign up at Carmex.com to get your free sample. My Hubby loves this stuff... his fav! Don't miss the free collage print on Wednesday with your in-ad coupon! Thanks SavingWithShellie, CouponsDealsandMore, CouponSavingGame and DealSeekingMom! Buy 12 box tops products and get 100 free box tops on a catalina! Please donate these to a child! The schools need them and these are a great way to give! Thanks Jill for reminding me about this! -Buy 2 Get 1 Free, All You Magazine Sept. Thanks MommySnacks, MyPriceSavings, and HotCouponWorld! Here are the best deals I see for this week, August 23th-29th. 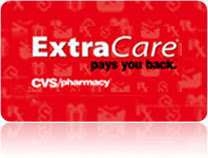 Get a $5 off $25 coupon for taking a quiz on the CVS site! These coupons are hard to come by... take advantage. If you have one, let me know what great coupons are in it! Thanks CouponSavingGame, CouponJourney, & CommonSenseWithMoney! for some very special Triple Coupons on select purchases. You may also want to print the $5 off $25 purchase coupon. This one expires at the end of August! ...another $5 off $25 coupon at Coupons.com! Get a coupon good for your choice of either a FREE 10 ct., #2 Pencils or Bottle of Glue when you buy $5.00 worth of any Harvard Square Product School Supplies. Coupon expires 9/5/2009. New to Rite Aid? Check out Rite Aid 101 to learn how to shop there and save! FaveCrafts has recently brought us several free ebooks. 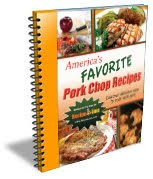 Pork Chop Recipes - I keep getting pork loin at great prices... would be great to get some new ideas! From grilled, baked, or casseroles this is loaded with things to try. 39 Low-Cost Kitchen Crafts- Lots of ideas to make your kitchen fun and home crafted. Some of the previous ones are still available. of your certificates or Dinner of the Month Club deals. This makes $25 Certificates $3 each! Read my previous post about why I like Restuarant.com. You have to upload your pictures online (which is free) and go through the process as though you want to purchase 20 prints... then use the code where they ask for any promotional codes. just get them the next time you're in the store. Christopher & Banks is offering some discounts currently on most items. They have some really nice things ... they're ready for fall. Plus... get 10% off your next purchase when you sign up to get their emails. Use link above to find discount page. Link for 10% off coupon is at the top of the same page. Not sure if you can combine the two deals, but might be worth the try. ReadySite... $25 Bonus for Signing up! from your site without selling anything? One easy way to monetize your site is to sign up with ReadySite. ReadySite is a nice way to get started when you're ready to monetize because it gives you the opportunity to choose which ads you'd like on your site and it combines & or rotates those ads for you wherever you choose to place the ad on your site. The ads are contained to the banner you select and are only the ads you allow. You don't have to mess with multiple banners and links to list offers they provide for you. Another great site I like to use is Logical Media. Logical Media runs a lot of the same promotions and ads that ReadySite does. The difference is you can scatter them throughout your site and even write posts about individual ads or offers as you like. Some say don't try to monetize until you've reached a certain reader level... that's up to you. My opinion... assuming you want it is to go ahead and sign up for a few programs and get your hands on a few of the available offers. Sometimes there are coupons, rebates and freebies that can give you something to write about when you can't think of anything clever. And my most important piece of advice... don't put offers on your site/blog that you wouldn't do yourself. Say you're not comfortable with the requirements for a deal, don't post it, or if you do let people know your concerns about the offer. This keeps your credibility which is so important when you want readership! Know someone who loves energy drinks? for the new Venom Energy Drink. Get yours before the print limit is reached! Select McDonald's locations now have a After School Snack Booklet for sale! when you're out and about shopping with them. You must be under 12 to redeem the coupons. 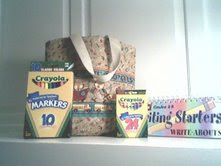 Coupons are long dated & don't expire until 12/2011 so get your hands of some of these if you can... would make a nice gift for a friend with kids too! Note: If your McDonald's doesn't offer them they may not take them if you get them from a friend or other source. Don't forget the Angus Burger coupon. The burgers cost a bit more than some of the others, but it is a bigger sandwich. Spend $25 at Walgreens, get $5 RR back for use on your next purchase. The RR should still print if your total goes below $25 after coupons. No where does it say in the ad that your total has to equal $25 after coupons and discounts. Combine this with some of the good deals this week for a double play! Get 50 4x6 prints through 8/22/09 when you use the code EASY50 at the checkout online. They are $.10 each after the first 50. Gardening is so rewarding, especially when you get to taste the sweet harvest. I love to watch the plants grow, flower and produce their wonderful fruits and veggies. I put 12 quarts of corn in the freezer last night!! It'll be great this winter when you can't get anything like it at the grocery! Corn is especially a favorite because I remember eating it from our garden when I was young. My parents used to have a little scope that told you the sugar content of produce. We would often check corn to see what ears were the sweetest (& best of course!). I wonder if you can still get those gadgets... ?!?! I might have to look. Corn needs to be staggered in it's planting so you have several harvests and prolonged joy of eating the fresh, on the cob veggie. Harvest corn when the silk (strands at the top of each ear) are brown and the cob feels full. Don't let it go too long or the corn will loose it's sweetness and become too firm to be enjoyable. Kernels should tender & easily pierced with your fingernail, and should have a sweet milky fluid in them. Kernels that are starting to dimple will be chewy and not as sweet... might be ok for use in recipes, but not great for simply eating corn as a side. To freeze corn... slice the corn off of the cob, there are special cutters available such as this, but I find a knife I'm comfortable with is the best because cobs can very in size. Cut the corn off the cob and then run your knife down the length of the cob to get any extra bits and juices left behind. Once you've finished cutting all your corn place it in a deep pot and add water enough to just reach the top of the corn. Heat on high until the water just gets hot and begins to boil, this is called blanching. Blanching destoys enzymes and helps keep the veggies in freezing. You can find various types of corn cutters/strippers here . Quickly place corn in freezer bags or vacuum bags (if you have a vacuum sealer) and place in cold icy water to stop the cooking process... this also saves your freezer on energy. Label and place in the freezer. I have a vacuum sealer, but ran out of bags. I had freezer bags handy so just used those. I found that when my bags were floating and cooling in the icy water I could easy work the air out of the bags by using the water pressure to force the air bubbles out of the top of the bag, essentially doing the same thing as the vacuum bag would have. Get Freezer bags or vacuum bags at Amazon. You can freeze corn still on the cob by simply blanching the ears, cooling them with ice water, drain and place in bags for the freezer. I've never done this so can't speak of results. I think they would be a nice treat in the winter, but would take too much space in the freezer. The corn I did last night fit in 2- 5 gallon buckets when I started and 12- 1 Qt freezer bags when I was done... a lot less space. Might be fun to do a few for the kids though. When you're ready to eat your corn simply place in pot of boiling water until heated.... no need to cook for any length of time since it was partially cooked prior to freezing. You have 48 hours to contact me with your mailing information to claim your prize. Liz at HoosierHomemade did a great job on this tote! Thanks again Liz for offering this prize! Didn't win? Check out Liz's shop at Etsy & her items on her website to get yours. Here are some of the best deals for Meijer the week of August 16-22nd. They come with three different topping choices and are Third Pounders. Get a coupon for a Free Medium Drink and Medium Fry when you buy the sandwich. Watch a few advertisements and get up to $130 in printable coupons. Once you reach 20 credits, you can also print out a $5 off $2 coupon! !